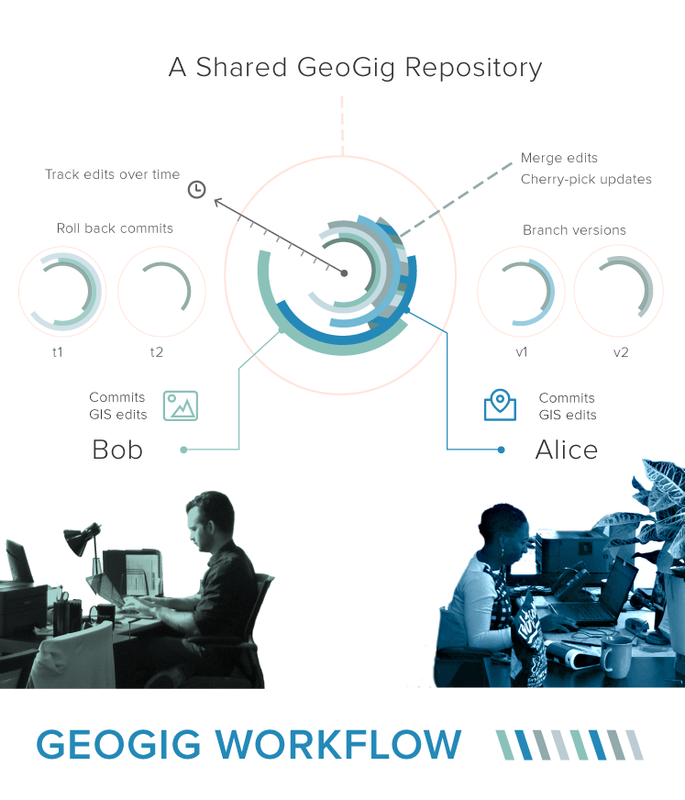 GeoGig is an open source tool that draws inspiration from Git, but adapts its core concepts to handle distributed versioning of geospatial data. Users are able to import raw geospatial data (currently from Shapefiles, PostGIS or SpatiaLite) in to a repository where every change to the data is tracked. These changes can be viewed in a history, reverted to older versions, branched in to sandboxed areas, merged back in, and pushed to remote repositories. GeoGig is written in Java, and available under the Eclipse Distribution License (a BSD 3 Clause license). We are firmly in 'release candidate' mode, working to release early and often, so please join us. Testing, documentation, ideas and patches are all greatly appreciated. Don&apos;t hesitate to get in touch with any issues, feedback or encouragement. 2. Unzip the geogig-1.2.0.zip to an applications directory, and then add the unzipped geogig/bin/ folder to your PATH. See more GeoGig instructions in our GeoGig Tutorial or try the GeoGig Workshop. 4. Additional information on how GeoGig works is available at the full User Manual. For background reading see these papers on the spatial distributed versioning Concept, Implementation and Potential Development. Discussion takes place on our GeoGig Mailing List. Please join and introduce yourself, we'd love to help, and to figure out ways for you to get involved. There is also a GeoGig IRC channel on gitter.im (#geogig). GeoGig developers can usually be found there. Issues to help out on are at our issue tracker. For those who can't code help on documentation is always appreciated, all docs can be found at https://github.com/locationtech/geogig/tree/master/doc/ and contributed to by editing in ReStructuredText and using standard GitHub workflows. Our build is actively monitored using Jenkins. View more GeoGig contributors on Github.